Matilda was born at Falmouth on August 3rd, 1802 and baptised in Truro on August 20th, 1804 along with her sisters, Elizabeth, Alice and Ann. She was the seventh child of Thomas Flindell and Mary Brunton. Matilda wrote to her brother Francis Bassett Shenstone Flindell (FBS), on September 16th, 1886 and signed herself as Matilda Alexander. In her letter she mentioned that her “dear sister Mary left me at her death £42 per year” and added “How then can I be otherwise than comfortable?” At that time she was living at 21 Hunter Street, Brunswick Square, London. The 1881 English Census also lists her at that address. The St Catherine’s register for the June quarter 1890 lists her death at St Pancras, London. Other correspondence notes she lived at Judd Street when she died. Records have so far not been found to fill in details of Mr. Alexander or their marriage. I cannot express the surprise and pleasure I felt at receiving your nice letter thro’ your kind friend (Mr. Everett) with all the welcome photos. I kissed every one of them telling them how welcome they were to my heart. I wrote off to Alice immediately, enclosed is her letter to you. She must have made a great effort to accomplish the task. Her kind daughters write for her generally. Poor dear Alice! She is nearly blind and very infirm her children shall I call them? The eldest (Alice) is now near 58 years old – no longer children you will say, but they are her offspring. I write upon receipt of your letter to Fanny – but she says she has written to you two letters for which she has never received an acknowledgement – so that I suppose she will hardly write again without some explanation. She is very well but remarkably stout. She calls it dropsy – I call it good living. One of her letters to you announced the death of our dear sister Jane, some 18 months ago, so that there are only three living out of the nine girls. The kind Simpson’s provided for us the last resting place. Poor dear Jane is its first occupant and the “rest” remains for Fanny and myself. Glad to see by your letter how prosperous all your children seem to have been. Give all my best, my sincerest love and kisses all round – not forgetting that great handsome James. I forgot to enquire the address of your kind friend Mr. Everett who by the way was accompanied by his youngest daughter – a very nice person. What makes me more sorry is that in case this should, by some accident fail to reach you – as the mail to Australia starts on the 17th, and on a “Friday” to, that proverbially unlucky day. I might hear something from him; but pray my dear Shenstone should you or should you not have received my letter you would write to enquire the reason of the seeming silence. As to finances, I am very comfortably off. At dear Jane’s death the Simpson’s very kindly transferred £10, part of the annuity they allowed her after Mr. Conquer’s death, transferred to me the above sum and dear Mary’s children have always been so kind to me – sending the Sovereigns each one every Xmas “to keep my pocket warm”. I have pretty nearly £60 per annum and able to put a little by for any emergency – and dear old England is always calling for something. The Colonial Exhibition is visited wonderfully well. Crowds generally attend. I have just entered my 85th year else I should like to have visited it, but with a “cab” it would be too expensive and I am too nervous to entertain any public conveyance. I am loathe to put down my pen, but my paper is out. You see I am not laying by my pen yet. I may have a few words to write. I wish should you not receive this you would write to Mr. Everett. He will give you an account of his visit. I believe I told you how much my dear Mary left me at her death, £42 per year. How then can I be otherwise than comfortable? I was glad to hear from that gentleman that Frank had settled down at last – a temperance young man – to be kindly remembered to you. I wish I had a pair of wings that would carry me off to you, that I might see you all – but I believe my imagination must be the wings, it will carry me a far, far off way! 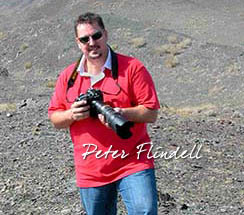 This is James George Flindell, eldest son of FBS.